Karen Wickre isn’t one for New Year’s resolutions, noting that they rarely last the month. And after passing that 31-day milestone, most of us are likely to agree with her. In what’s become a hackneyed habit, we assemble a collection of false starts and a stack of ambitions that lost steam as February ticks by. But at the start of 2019, Wickre resisted her usual misgivings and set her sights on a particular goal. “Let’s make connections that count — with people we can help and who can help us — as we navigate the rest of the year,” she dared her rather sizeable number of followers. As the former editorial director of Twitter, who’s routinely described as someone who knows everyone, this charge may not seem surprising — her impressive trajectory rests on the bedrock of strong relationships and loose connections. But woven into her decades-long tech career are some unexpected threads: Wickre is a self-described introvert and a late bloomer who joined a startup called Google in 2002, when she was 51. To unpack exactly how she pulled it all off, Wickre recently penned a new book. 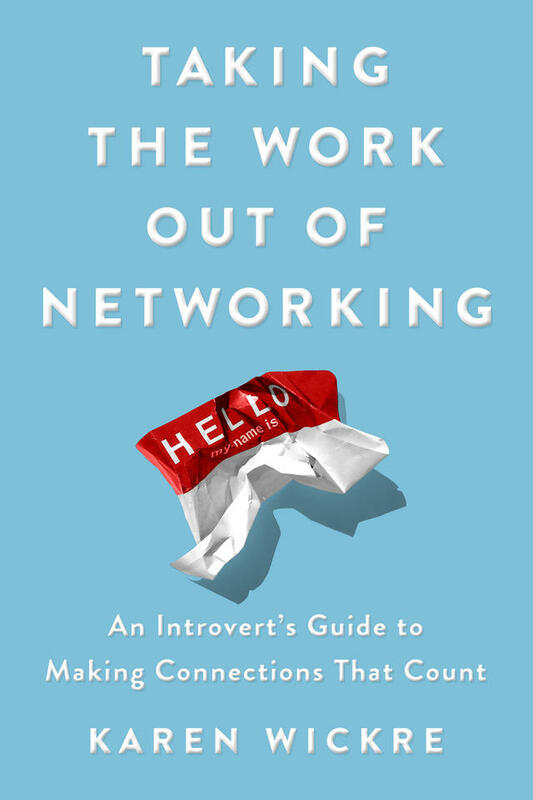 In Taking the Work Out of Networking: An Introvert's Guide to Making Connections That Count, she distills key lessons for nurturing contacts without straying too far from your comfort zone. And after leafing through a copy, it’s clear that her sage advice goes the tactical distance, covering everything from the finer points of tweaking your LinkedIn profile to deftly navigating the art that is small talk. We’ve featured networking advice before on the Review, from Chris Fralic’s tips for becoming insanely well-connected to Mike Steib’s insights for building a meaningful network, and we’re pleased to continue in that tradition by presenting a selection of carefully chosen and tactic-laden sections that stood out from Wickre’s recent book. Alongside her insightful advice, we've peppered in a few quick notes of our own to help set the scene and added new commentary and parting thoughts from Wickre herself. For those in the midst of — or contemplating — a career change, read on for three no-pressure networking strategies from one of the most connected veterans of Silicon Valley. The combination of introversion and observation provides a great gift: the art of sizing people up. Sensing such qualities means that you have a good grip on what to ask or expect of anyone you meet — and that’s a handy skill as you continue to build your network. Listening, observing, being curious — all are wonderful tools for connecting with people. And here’s the thing: none of them requires you to be in the limelight. Here are three exercises to warm you up to the idea of using your abilities to help grow your web of connections. I think you’ll find that people will feel good as a result of your effort, and you’ll learn things you can draw on later with them or others. 2) Put your curiosity to work. 3) Be a keen observer. Where curiosity is largely mental, observation is more physical. It works best in person and has great value when you’re meeting someone new. Part of being a keen observer is how well you can put your new contact at ease (more often than not guaranteeing a solid connection), and part of it is gathering your own sense of him or her. What you observe gives you an extra sense of understanding of others, and that can make your connections work more smoothly — simply based on who they show you they are. The habit of “loose touch” and healthy give and take has been key to Wickre’s strong network. Read on for excerpts from her book's collection of tips on how to nurture before you need it, build the practice of loose touch with just 10 minutes a day — and draw boundaries around your time. No one likes to feel used repeatedly, especially when it’s one-sided. The best connections you can make are those where you have mutuality: sometimes one of you needs something, and sometimes neither of you does, and you continue to give your time and attention either way. And there’s no expiration date on you or your connections helping each other. People I haven’t worked with (or even laid eyes on) for years pop up on occasion to schedule a meeting or call to kick around ideas and contacts; I do the same. In our world of frequent job changes and moves, it’s not at all unusual to lose direct contact after one of you has moved on. But if you have made meaningful connections, that’s fine. Even over the course of writing this book, I’ve reached out to people I haven’t worked with for twenty years. Our connection continues thanks to what I call “loose touch” — the care and feeding of your networks over time — which I consider the gold standard for nurturing your network. Salesfolk and business development pros often create “ticklers” to remind themselves to get in touch with clients or prospects again. Loose touch is like a tickler — except that it’s not pinned to a sales target and doesn’t need a defined outcome. Both ticklers and loose-touch moments are meant to instill ongoing interest and capture any opportunities that might emerge because of that contact. This is my guiding principle for no-pressure networking: Nurture it before you need it. How to become a giver (and not feel like a taker). Long ago, my own loose-touch habit consisted of a well-worn address book whose cover always had a fresh Post-it list of the phone calls I would make each day. The list represented tasks I needed to do, plus a few people I’d been thinking about. I’d make those calls (or leave messages) and cross them off the list. Fast forward to the 21st century: today, picking up the phone is my last resort for keeping in loose touch. But the art of giving and taking may be the crux of connecting with other people: how we approach giving when we don’t need to and taking when we do. Networking requires both, and the understanding you bring in the moment to either task. Twenty years ago, I didn’t set out to amass a lot of contacts or cash in on a bunch of favors. What I had was a strong desire for two things: one, make meaningful connections with people, because they helped me feel less alone in the world; and two, share those connections with others for the advice or answers they needed. So when someone tells me they don’t have time to connect in order to help someone, I always think, What does it cost you to make a little time? Part of the payoff that awaits is hearing someone’s story and making a wonderful connection instead of passing it by. The serendipity of it may be as valuable as anything else. 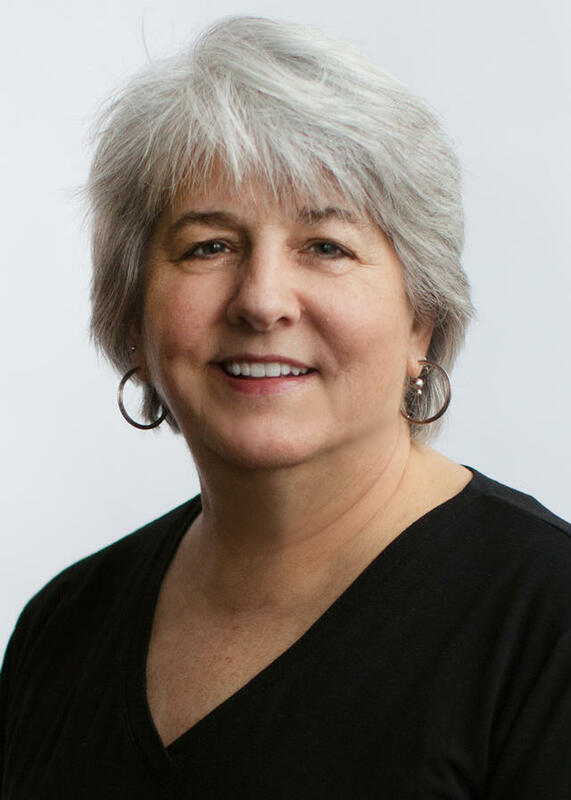 Master connector and Seattle entrepreneur Julie Schlosser says she thinks connecting and sharing connections is “kind of like donating money. It brings happiness that you can’t really explain . . . that’s like a religious rule, Ten Commandment–type thing.” I feel the same way. Taking similarly involves an art: So often when we need advice or introductions, we’re hoping for a single touchpoint that will solve our problem. But precious few perfectly formed answers come to us in such a straightforward single step. It may seem a bit too otherworldly to simply be open to whatever happens — even if your introduction doesn’t pan out, or the guidance you get isn’t spot on. Being perennially poised for a wonderful surprise is a great quality. But my practical self, and probably yours, understands that we have to prepare ourselves to ask — to take — along the way, as well as give. But it’s imperative to be able to see beyond the immediate outcome, and not to feel guilty for trying. Keep trying. If you treat your connections as a kind of personal ATM you use for frequent withdrawals, you’ll quickly be disappointed (and overdrawn). The key is to practice a little bit every day — and do it when you don’t need specific help. With loose touch, you pop up now and again to your connections, and new acquaintances, too, without any formal obligation to follow up or see one another in person. If you do this habitually when you’re not feeling needy, you’ll begin to see yourself as a giver, not a taker. Keep a running to-do list. Part of staying in loose touch is simply following up on encounters you’ve had. After your conversation or meeting, think about what you wanted to pass along, and who came to mind that you’d like to reach out to. Add them to your list and get the satisfaction of crossing that task off later. Create boundaries to guard your time. But while it’s easier than ever to stay in touch with many people, the downside might be a proliferation of invitations and questions and coffee dates you don’t want. After all, the whole point of keeping in loose touch is that it’s not a burden. The more obligations you end up with, the less chance you have of keeping things loose, or keeping up. A note from the author: Since the book came out, I’ve heard from readers who generally like to help others, but dislike the sometimes random or unfocused nature of “can I pick your brain?” requests. Here are some workarounds. Much as I like to help people in their quests, inevitably some don’t have a specific goal as much as they want to talk shop, or want you to put in a good word for them with your influential friend in case something comes up. If you’ve done this (and done it too often, which you might experience as a lot of declined invitations), remember that people’s time and attention are valuable assets — yours, too — so go easy on “pick your brain” requests. A genuine need to know may be better framed not as a meeting or even a call, but as a question: “What would you advise me to read, which conference addresses this topic best, who is an expert to follow besides you?” This gives the too-busy target of your request a relatively easy way to help without obligating them too much. One other consideration: Google before you ask. If your question to someone you don’t know is about to have them explain diversity and inclusion, or hearing your fantastic startup idea, you’re more likely to win some kind of response if you can demonstrate that you’ve already done your homework. Let’s return to the pages of Wickre’s book. Email is a cornerstone for making direct connections with others. But as Wickre observes, there’s an art — and a bit of a formula — to crafting notes that make connecting meaningful. Here, she delves into her own sent folder, fishing out her go-to templates for intros, asking for favors and maintaining loose touch through quick FYIs. Set up the connection with effective introductions. To get a fluid and functioning network, we have an endless need for introductions. Aside from saying hello, I’m sending this note to ask if you would be open to speaking with my friend _______. She is a _______________ (profession or role) who would like to _____ (meet, write to, call, hear from) you because she is exploring ___________ (a new position, new companies, a new city, school) and of course you came to mind immediately (because of your knowledge/connections/specific ties). She is _____ (funny, unique, smart, clever, passionate, suited to your company . . . ) and I think you’d enjoy talking with her. If you tell me it’s okay to make introductions, I’ll follow up. But if you’re not able to, or it comes at a bad time, I understand. If that’s the case, can you suggest someone else for her to speak with? Thanks in advance —I really appreciate it. Reestablishes your connection to the askee with a bit of genuine small talk in the opener and signals that you either know, or want to know, what they’re up to. The first focus is on your contact, not your request. Offers specific reasons and context for considering this introduction. Makes clear that nothing happens without the askee’s okay up front. Gives the recipient a face-saving chance to pass you along to someone else who might be better suited or more available. Once you’ve gotten the green light, here’s an example of a note connecting the askee and asker. Thank you kindly for agreeing to connect with [Asker], cc:d here. As I mentioned, he’s interested in pursuing an opening at BigCorp, and I told him you’d be the best resource. Also, he shares your interest in stand-up comedy, which should make your conversation even more enjoyable. When you’re asked to make introductions, always lean toward yes. You’ll need them yourself at some point. A checklist for favors and tips for framing them. How well you know the askee. If you’re cowed by the thought of asking, maybe the answer is “not well enough,” and you should suggest another route. Recently I caught up with a former colleague who wanted to meet a well-established venture capitalist I know only slightly. I told my friend he’d have better luck asking another mutual acquaintance, who knows the VC much better than I do. Make sure the request is reasonably open-ended. Requiring a tight turn-around out of the blue isn’t a good way to endear yourself to someone you’re asking a favor of. Make sure there’s a reasonable amount of time, or that it’s an evergreen request, so you’re not seen as being demanding (or rude). Is someone asking you for an introduction to a true VIP? LinkedIn tends to let us believe we’re just one degree removed from captains of the universe. I’d like to think that Eric Schmidt would recognize me on sight given our Google years, but I do not assume we’re friends, and won’t tarnish my reputation by reaching out. Once you’ve decided to pull the trigger, here’s how a note for a favor might go. I sent this one to a professional contact I see every few years; she was going to speak at a workshop that a friend of mine was planning to attend. Helen, I hope you are traveling only as much as you want these days — though I’m certain that’s still a lot! As for me, I am now consulting, too. I love keeping my own schedule and love the variety of projects. I bet you can relate. I’m writing because a good friend and former colleague, Rebecca Jepson, would like to meet you when you speak at the Press Club in Washington on March 23. After finishing an MA in analytics, she is now creating a new measurements program across her team, about 250 people globally. May I introduce you ahead of time, so you might chat for a few minutes after your talk? She’s delightful. When there’s no agenda, use these five FYIs to say hi. This category of email can serve a number of purposes: you use it to keep in loose touch, reconnect with someone, follow up with a new acquaintance. The nice thing about a “Just FYI” message is that there’s no real obligation involved on either side, and you are top of mind for a moment with the recipient (which helps solidify your ongoing relationship). 2. Say hello to someone you met at a conference last year with the just-published agenda for this year’s event, asking if they’ll be attending. 3. Share interesting news about your old company with a former colleague. Former coworkers are sometimes the best weak ties — you may not have known them well, but there’s a feeling of kinship. A simple note asking what they’re up to along with a story can keep the connection going, or even strengthen it. 4. Show you’re paying attention to your weak ties by sending them items (news, event, commentary) related to their interests. For someone you don’t know well, this will give a moment of delight and appreciation. What you send is based on what you know: are they presenting at a conference, doing research, passionate about a project, focused on an emerging trend? 5. Reinforce a connection you just made by following up with relevant information. If you just met someone and talked about mobile phone usage, send the news story you spotted on this with a brief note (“This made me think of our conversation”). Here’s an example of a no-obligation “Just FYI” note I sent recently to a friendly professional contact in the field of autonomous cars. I thought of him after seeing a tweet about an upcoming workshop on that topic. Hi Jimmie, I hope you’re faring well in these fun times. Just ran across this [link] and thought of you. “Fun times” is a reference to the surge of news about autonomous cars, which is sometimes wacky, negative, or inaccurate. This mention conveys a bit of sympathy about what Jimmie deals with. You don’t have to explain a lot if you include an informative link. In this case, it was the home page for an upcoming workshop for policymakers working on issues surrounding self-driving vehicles. Note that it was the site for the event itself, not a news story about the event — the former is more useful and direct. If you’re not ready to dash headlong into the enterprise of network-building, here’s a suggestion: try reconnecting with four or five people you already know (you enjoyed working together at your last company; you make use of their work or ideas now; you went through corporate drama together). Coffee’s fine, or a video chat, or even a phone call. I know that introverts — and really, everyone who hates the idea of networking — might want to avoid even these lightweight encounters. But I’ve always found that the rewards far outweigh any downside. I come away energized, with new ideas sparking, and a renewed appreciation for the simple power of getting in touch. Photo of Karen Wickre by Helena Price. Image by Pogonici / iStock / Getty Images.